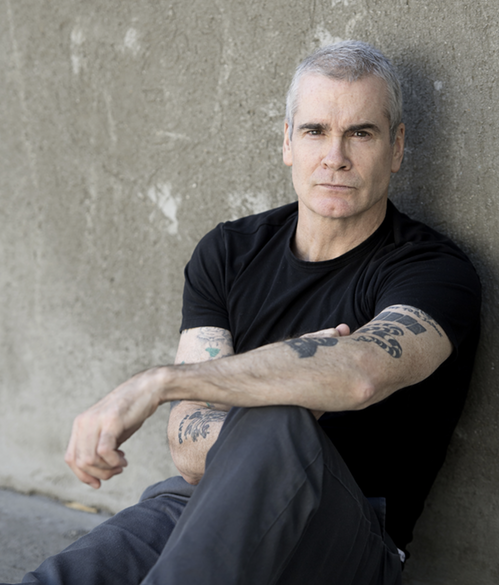 In describing Henry Rollins, the tendency is to try to squeeze as many labels as possible into a single sentence. "Rollins is many things," says the Washington Post, "diatribist, confessor, provocateur, humorist, even motivational speaker…his is an enthusiastic and engaging chatter." Entertainment Weekly's list includes "Punk Rock icon. Spoken word poet. Actor. Author. DJ. Is there anything this guy can't do?" TV Guide has more concisely called him a "Renaissance Man" but if Henry Rollins could be reduced to a single word, that word would undoubtedly be "workaholic." When he's not traveling, Rollins prefers a to keep a relentless schedule full of work, with gigs as an actor, author, DJ, voice-over artist and TV show host to name a few of the roles that keep his schedule full. Henry currently hosts a weekly radio show on L.A.'s renowned NPR affiliate KCRW, in addition to writing weekly columns for the LA Weekly and Rolling Stone Australia. In 2013, after previously anchoring shows for IFC and National Geographic, Henry joined the History Channel's H2 network as host of the TV show 10 Things You Don't Know About. In 2014, Henry received the prestigious Ray Bradbury Creativity Award in recognition for his lifelong contribution to the arts, his passion for social activism, as well as his intense passion for the importance of maintaining books and libraries.